As per requested from my friend who's pursuing law degree in Melbourne. He wanted something really simple, quick and convenient. 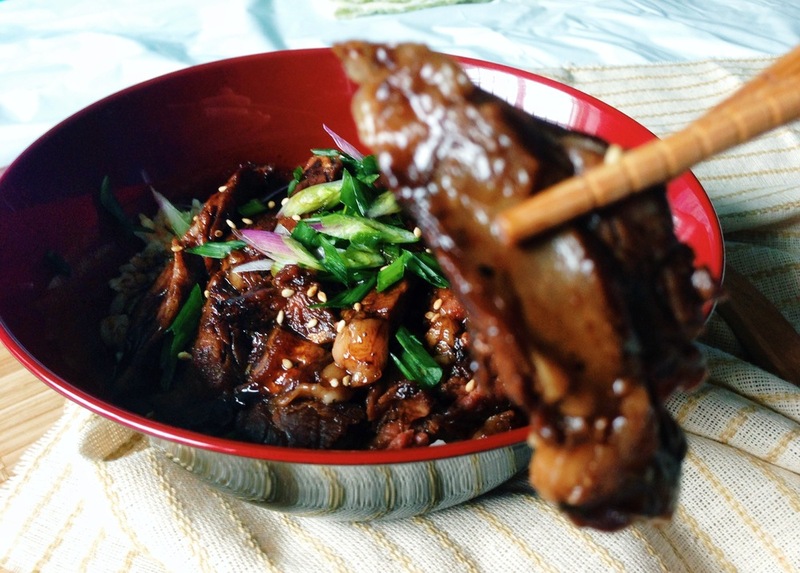 Thus I suggested this recipe, 'Beef Teriyaki Steak' Rice Bowl! The reason why I recommended this, because this recipe can be done real fast literally in just minutes! Furthermore, if you marinate the steak one night beforehand, the steak will taste even more intense. If you are short on time, seared both side of the steak. Pour in teriyaki sauce to boil, then flip repeatedly until sauce coat evenly on the steak and turn shiny glaze. Wouldn't be as intense as overnight marination, but good enough for a bowl of beef teriyaki goodness down in your stomach. In my GYUDON beef bowl recipe, I've introduced to you guys the 3 most important seasoning in Japanese cuisine - Soy Sauce, Mirin and Sake. For the teriyaki sauce, the ratio I'm using is 1-1-1 portioned to 1 to 1.5 of brown sugar (adjust to taste). After a night of marinating, sit steak half an hour to room temperate before cooking. Separate the steak from the sauce and make sure you pat the steak dry from the marinate (to prevent excess sauce from getting charred while searing the steak before the sauce go in), reserve the sauce for later use. Prepare a non stick pan with the oil in. Make sure the pan is hot enough before the steak go in (high heat). Seared the steak on both sides to desired done-ness (refer to The 'Perfect' Steak recipe). Pour in the reserved marinate thereafter and coat it evenly on both side until the sauce thicken and turn shiny glaze. 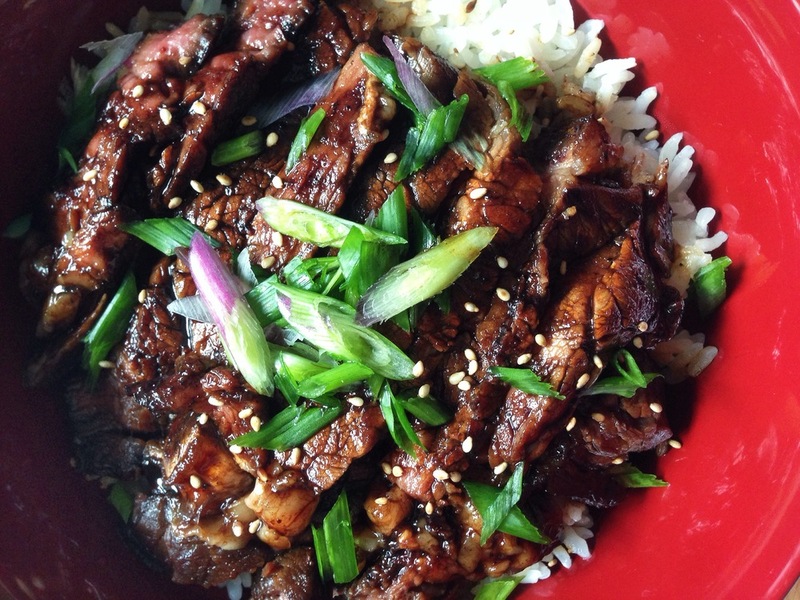 Serve over rice and garnish with scallions and sesame seeds! and its DONE!! !